Presumably this only applies for new cards issued from today? Will existing cards will still redeem the bonus once criteria hit? Still possible to get the 2-4-1 voucher with a 10k spend, just not the bonus? My partner has the Plat issued a couple of weeks ago and is £300 away from 2k spend. Does this now mean she won’t get the bonus? Yes. What I don’t know if how often you can do that. For example, on a £2k per month BAPP spend could you use the card for five months, earn your 2-41, and then cancel. Sign up again in month six and repeat the cycle? Probably a bit of a moot point since earning the Avios to make use of the 2-4-1s will be harder now. you can do it immediately . Barry do you mean 2 vouchers for you and 2 for partner/wife etc per year? Is there a full update to T&Cs or is it just the 24 month statement on the application pages? Lot’s of supposition here to other loopholes being closed, but I guess we won’t really know until someone presses to test? This is certainly a sudden change. The highly wishful part of me hopes that they could make some of the benefits of having the card more attractive in the first place, but perhaps I am being too hopeful… increased offers on earning rate, perhaps? Not overly fussed by the lack of churning – being able to get the BA Amex for 12 months, then return to the Gold. Also, if the BA Premium Plus stays as it is, the 2-4-1 voucher is worth it, anyway. Refer, refer and refer again. It’s all gonna be OK. The rules have changed, but the game continues….. If anything, my wife will be getting a new Plat card every 2 months now, not every 8. Why wait at all? It might, but weve both been applying for 4-6 cards each year anyway, with no issues. Drat. I was due a churn on the BA Amex and I was being lazy (I like to think not overly taking the p…). Wow. If I understand this right then my whole CC strategy will have to change. I have a BA Prem which I only pay £35 a year instead of the £195 because I have had it for so long) I churn the Gold with my wife every six months ( she also has a BA Prem) . Once we have earned the Companion tickets on the 2 BA Cards we also get another card ( normally the Starwood) to get more miles. I probably spend £30-35k every year on Amex. I know a lot of people who have this as a strategy. Given that you need to keep the BA CC until you use the Companion ticket ( which we book a year in advance). I think that will have to stay in the wallet. I will now give serious consideration to the other cards/ airlines. But will you keep the BAPP in the wallet or the BA Amex? My immediate response is probably not once I have burnt my Avios. IMO the companion ticket is only worth it for Club or First longhaul. So I need circa 100k Avios. ATM we get two Companion Tickets a year which cost us £230 in CC fees. I thought that AMEX only told you that you needed to keep the card you earned the 241 on but you only needed to have another AMEX to buy the ticket with? the T&C’s – are as follows “All Taxes, Fees and Charges must be paid for using the British Airways American Express Card”, while we know they’ve not enforced these previously. Going forward possible it might change? It should be fine to earn the 241 on the BAPP then downgrade to the BA Amex, keep that in the wallet and pay the taxes on a amex card. If questioned on check in the BA Amex should be fine even if you used the BAPP to earn the 241. That’s the one part that’s unclear if they do start to enforce this rule. I can’t see how BA would know. No. And Amex does not do name verification so could use a friends etc even if they did. There appears to be some suggestion, on what basis I do not know, that the requirement to have a BA Amex at the time of travel on a 2-4-1 voucher may now be more rigorously enforced. You need to have an Amex of some description when booking with a 2-4-1 to pay fees and taxes. Must say that the amount of people commenting saying that there is no point in them having an Amex now speaks volumes. If your only way of making an Amex useful was to churn churn churn, you are not the type of customer that Amex needs. Those that benefited from churning, whilst also continually spending large sums of money are the people that Amex needs; not those that spend to get a bonus and then stop. There are those of us that sit somewhere in-between, we keep three paid cards rolling year after year and top-up using other bonuses. We also advocate Amex to friends and colleagues, yes there’s something in it for us but also it can get people started on the same path. I’m probably responsible for Amex having around 30 customers they perhaps wouldn’t have done otherwise and I’m fairly certain most of them still are. I never mention the unspeakable strategy to them. I think there will still be a way forward; we probably spend around £35k a year across cards, however, it will need some careful thought as to how to maximise the rewards. Yep. First thoughts are perhaps Amex Gold for two years (basically paying 140/2 = £70 annual fee and switch to partner with BAPPs thrown in there as and when. I don’t generate too many external referrals. I’ll do the full numbers analysis in due course but I don’t think I’ll be doing regular Plats at £450 pa. If things appear in offers you want and can use the £450 sort of comes back to. I got £200 of Amex Travel twice in the last year (once may have been on BAPP, but you get the idea), and each time been able to find flight through them at same cost as with airline. Prefer to book direct with airline, but £200 is well worth hassle of travel agent. Took a friend to Amex Stadium this week for Q&A with the Brighton manager, whilst free it was easily worth £100 to me as an experience. Couple of referrals, bit of lounge use the Platinum can make sense. It’s just thinking about it’s real value and not going no way am I paying £450 for a credit card, well charge but you know what I mean. My thoughts exactly. 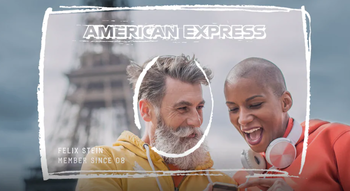 Amex looking to switch things in the era of fees cap on BA Amex, shift to a more spend orientated customer base, and weed out the multiple churners. Understandable, sadly feel I may be in the weeded out section. I guess the follow on from this should IT be capable will be limited referrals for same person. Otherwise you just refer partner and they cancel, repeat every two months on the Platinum whilst doing a much slower 24 month+ switch between partners on the BA Amex for the 2-4-1. My guess is this will drastically reduce the Amex cards in circulation, and the spend, but lead to better per card numbers for Amex. Could be be quite damaging to the scale of Amex use in the UK? Or are we churners a small subset not understanding the real world pattern of use. We are 5% of amex base customers. So they don’t really need us v the huge biz spenders out there. Also such regular referring and cancelling, say every 2 months, would def damage the credit rating. I don’t care about my credit rating. Amex seem to care about your relationship with them, not what Experian or whoever think. Cancel a few cards and wait 3 or 4 months and credit rating repairs in my experience. I disagree. The more people holding the card, even for short periods, increases it’s usage and visibility. Fewer active users will impact on acceptance rates. And Amex can’t piggyback on another network like Diners has done to increase acceptability. I’d also like to know if is this the start of Amex reducing their exposure to a post-Brexit UK. The comments about 2 for 1 on ba, is that suggesting that cancelling the bapp will now potentially mean the 2 for 1 voucher will be cancelled? There’s nothing in today’s article that suggests that. I don’t see that as the point being made. I think it is more a suggestion that the requirement to have a BA Amex at time of travel on a 2-4-1 voucher may now be more rigorously enforced. I’m assuming it’s guess work. Anyone with insider knowledge probably can’t say anyway. for clarification has amex ever given anyone a steer on whether the BA blue meets its requirements if voucher earned on BAPP? it would be very simple: just hardcode the card number on the payment form. @Mark2 although they’ll then have lots of hassle with reissued cards, telephone bookings, etc. I don’t have much faith in BA or Amex IT! Still trying to get them to work out which random Hilton Honors number they appear to have added to my account! If you’re paying £35pa for the BAPP no question you’d keep it. Looking to fly to Denver in August for birth of grandchild. Google flights have just told be a CW return AMS-LHR-DEN is now under £1,000 ! So why both with points and Amex fees when you get deals like this and BA wants £600+ in fees on a redemption ticket? That’s the way it is going folks: great deal to Melbourne ex LHR on Garuda in business for £1100 – ticked off a box. Iberia 9 flights for £180 gave me the 90,000 points for business MAD-Havana. Another box ticked. Deals like these are now the way ahead. I agree completely, ex-EU possibly combined with TP runs but only if you can use the BA status and Avios. Yes it’s all very much each to their own needs. Ex-EU never going to be optimal for families, especially young kids, and we don’t know where these fares will go anyway. I’ve had Lloyds for a while and those vouchers, and BA 241 and never yet used a voucher long haul. It’s just what has worked for me. I don’t kid myself Avios are worth 8p because I happened on some particularly expensive time to fly, I just go nice, I had the Avios otherwise that would never have happened. All of these things are indirect devaluations of Avios, or are they? If it’s harder to earn points through Amex, does that really increase the value of Avios to those that earn from flying. My guess is that on FT they’ll be some very positive things said about this, there’s a lot of people there that feel redemptions are hard because too many Tesco/Amex flyers competing with the ‘real’ BAEC members earning their Avios from flying. You can’t have everything, and there’s no guarantee that having had something in the past, you will get it i the future. As has been said many times, this hobby is very dynamic – changes is the only constant. In order to succeed, you need to adapt. The only thing is you will be more conservative about how you spend Avios, if the big Avios income came from churning. Any holes/thoughts in my strategy? I cancelled a Gold last month – how long do I have to wait till my O/H can refer me for another one from a PLAT? Not worried about the sign up bonus from the Gold as we would get the 18K from PLAT referral etc. Interested to know if I’d pay the Gold 12 months + fee though ? Don’t have a mortgage so not worried about credit checks going forward. Will the comments on this Article surpass the one Amex pulled from Curve? Let’s see.